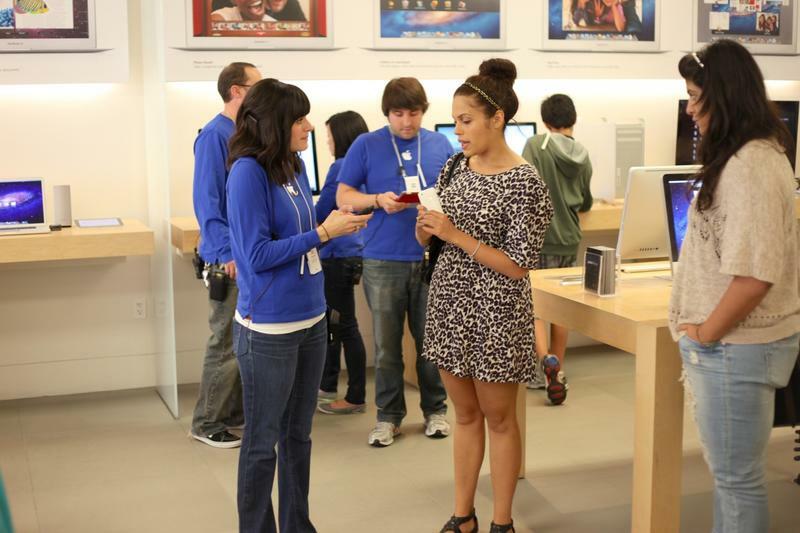 Anonymous Apple employees have told 9to5Mac that many big changes are coming to Apple's customer service programs. Apple's vice president of AppleCare and technical support, Tara Bunch, reportedly held a Town Hall meeting this week, rallying the troops to improve upon things like AppleCare and phone support. Apple's customer service initiatives regularly rank among the best in the industry, and Bunch said she aims to keep it that way. With AppleCare+, Apple has reportedly seen more than 30 million signups since it was introduced, creating $2 billion in revenue for the company. So far the service is available in fourteen countries, though Bunch hinted that the service could hit more countries down the road (that's assuming Apple can appease insurance and government-related legal processes). Beyond that, Bunch also said Apple is piloting a new program that will allow customers to purchase AppleCare+ within a 60-day timeframe once a device is purchased, up from the existing 30-day period. Bunch allegedly also told employees that Apple is looking into AppleCare+ for Macs, though it might not be economically feasible since the machines are much more expensive; it's on the table, but it could get the ax if it doesn't make sense for business. And here's where it really gets juicy. According to these Apple sources, Bunch supposedly wants to roll out a feature similar to Amazon's Mayday, which would allow Apple geniuses to take over a user's iOS device for support. Mayday is currently unmatched in its ease of use and convenience —Amazon can get a support rep on the line within 15 seconds — though it'll reportedly be challenged by Apple. It's unclear when a feature would be available, but it's allegedly a priority in the Apple camp, so you'd have to think sooner rather than later, especially with Amazon's Fire Phone on the way. Other improvements reportedly headed to Apple support include more emphasis on Apple ID help, better 24/7 phone support and tools that allow customers to self-diagnose problems, though that last bit is something Apple will slowly roll out over time. Bunch then ended her meeting by telling employees that this fall is going to be huge for Apple in terms of product launches, which other Apple executives have echoed in the past. So far we know Apple is going to release iOS 8 and OS X Yosemite, with the possibility of an iPhone 6, iPad Air 2 and iWatch also rumored for a release this fall. With enhanced customer support in place, Apple could further secure its reputation among the Apple faithful, and show that the company is very capable of moving on post-Steve Jobs.